Your eligibility for financial assistance will be dependent on many factors. There are numerous options for funding assistance but the availability and eligibility criteria is dependent on factors such as: where you live, the disability that you have or your diagnosis, your income and your age. There are three general categories of funding assistance. Eligibility criteria differ between provinces but generally include residency in the province, and the length of time the equipment is needed. 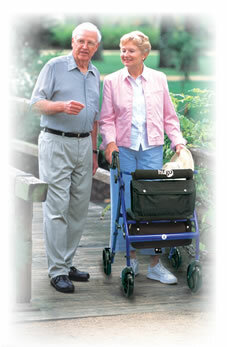 Many programs stipulate that they will only pay for the most “basic and essential” walker that meets your needs. Your choice of walker may be limited to a few approved models. Depending on the program, the government may purchase your walker for you or lend you a walker from a recycling pool. Workmen’s Compensation Programs if your need for a walker is related to the workplace accident. It’s often possible to piece together a funding plan where one source of funding can be used to top up another. It can be confusing to navigate the system so a therapist or social worker in your area may be able to guide you in seeking funding or reducing your costs. Many vendors who specialize in the sale of durable medical equipment are helpful in guiding you towards the correct funding programs. Most funding agencies require a letter from a therapist confirming your need and your safety with the walker.